Between September 19th -23rd , the EHRI seminar "The Study of Holocaust in Romania - current status and directions" took place in Bucharest. The participants were researchers and archivists from Canada, Hungary, Israel, Republic of Moldova, Denmark, Republic of Macedonia, Germany, Italy and Romania. The seminar was organized by Institutul Național pentru Studierea Holocaustului din România "Elie Wiesel", in cooperation with the United States Holocaust Memorial Museum (USHMM) within the framework of the EHRI project. Throughout the week the researchers and archivists who came to Bucharest for the 5-day workshop attended seminars on theories of Holocaust research, as well as guided visits to the National Archives, CNSAS Popesti-Leordeni and the Memorial for Romanian Victims of the Holocaust in Romania. The seminars and visits were held and organized by historians, specialists and renowned experts from Romania and abroad. Their daily impressions on what was presented during the seminar and the topics dealt with can be found on the Facebook page of Institutul Național pentru Studierea Holocaustului din România "Elie Wiesel", between the dates of September 19th and 23rd. 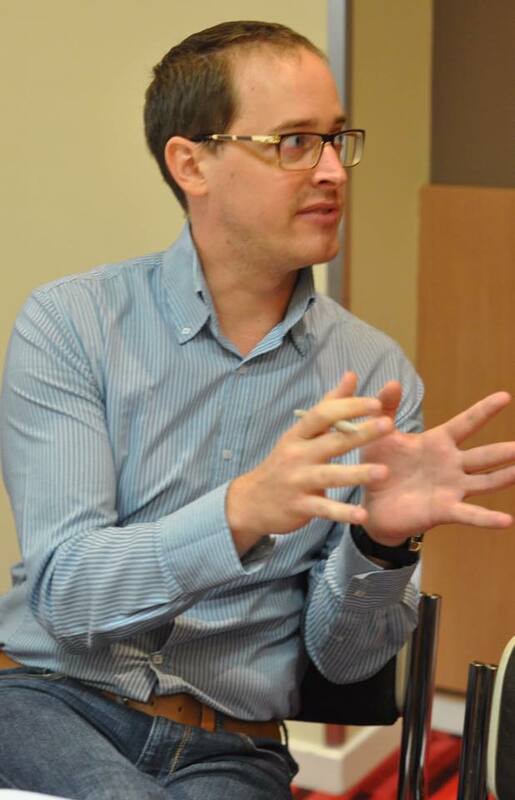 Participant Adam Gellert from Hungary felt the various activities connected well: "Systematic archival research is the cornerstone of any serious historical inquiry. The thorough introduction to the holdings of the Diplomatic Archives of the Ministry of Foreign Affairs and the on-site visit to the National Archives provided us invaluable insights into the wide-ranging possibilities of utilizing primary sources in disentangling the history of the Holocaust in Romania. Learning about the provenance, conservation and history of storage of archival material has neatly linked up with previous discussions on sources and methodology. As we approach the final day of our workshop, the visit to the State Security Archives, there is a sense that the rich scholarly presentations, the Q&A sessions and lively discussions among participants have equipped us with a panoramic understanding of the current trends and challenges on researching the Holocaust in Romania". The seminar was coordinated by Elisabeth Ungureanu, representing the "Elie Wiesel" Institute, and Neal Guthrie, representative of USHMM in Washington. Images: ©Institutul Național pentru Studierea Holocaustului din România "Elie Wiesel"